Spectrum/The New Milford Lions Club held a 90th gala celebration - based on a 1920s theme to recognize its 90th anniversary this year. Festivties were held at the Fox Hill Inn in Brookfield. 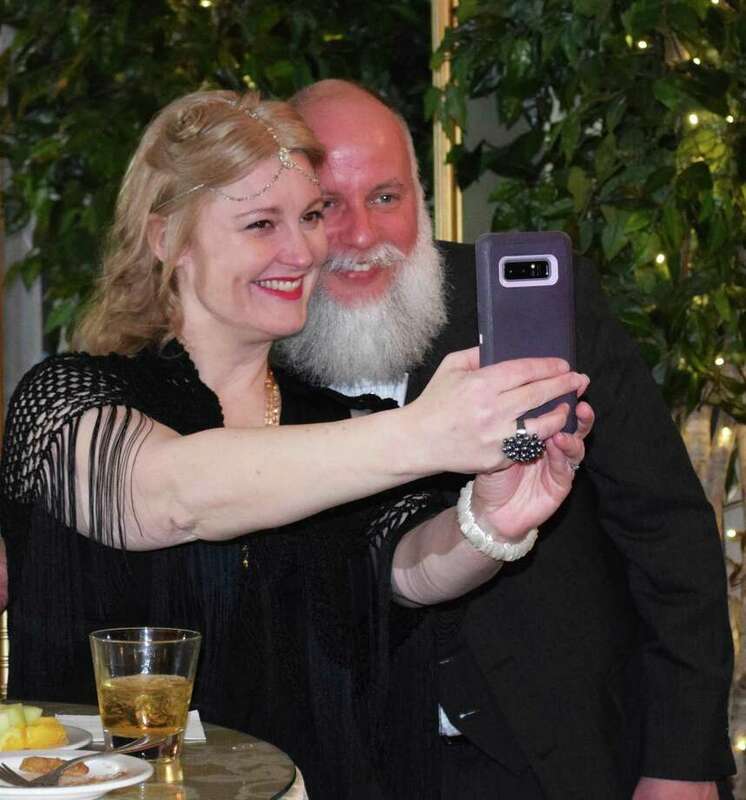 Above, Carol and Aron Bowman, of Danbury, guests of Lion Maredith Spector, take a selfie during the cocktail hour. The New Milford Lions Club is celebrating its 90th anniversary. To recognize the milestone, the club held a 90th gala celebration March 16 at the Fox Hill Inn in Brookfield. The event, based on a Roaring ’20s theme, featured a cocktail hour, dinner and dancing, raffles and the presentation of a life membership plaque to Charlie Chapin, who has been a member since 1984. Throughout its history, the club has served the community — and beyond — in numerous capacities. In the early years, the club purchased playground equipment for schools, park benches for the Village Green and leased Young’s Field for town use, prior to the town purchasing it. Over the years, the club has also purchased or donated more than 70 acres to the Weantinoge Heritage Land Trust. Among its other activities, paid for summer camp for children, sponsored the second Cub Scout Pack organized in the U.S., constructed pavilions at Young’s Field and Harrybrooke Park, organized and chartered a Leos Club at Schaghticoke Middle School, presented the Lions Country Fair, hosted a senior Christmas party and a summer picnic, made donations to New Milford Hospital exceeding $20,000, supported the New Milford fireworks, hosted the Fourth of July carnival, and supported Scouts, sports groups, the senior center, the food bank and more. In addition, the club provides funds for eye exams and glasses to children and adults in need.